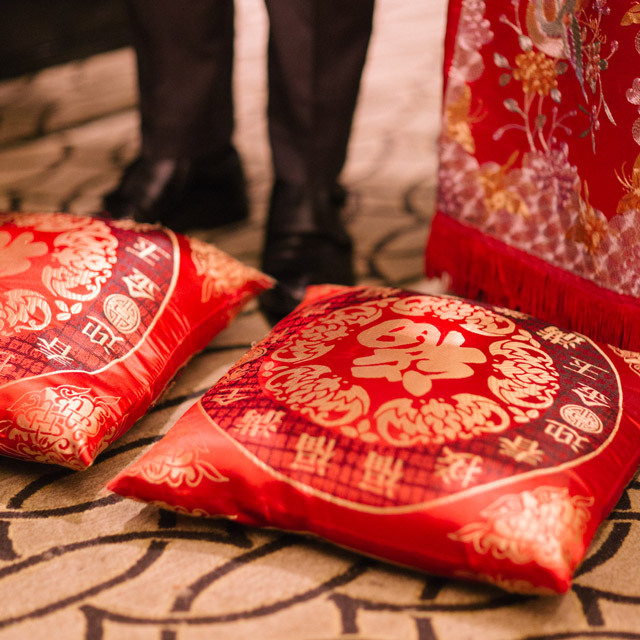 Two red cushions to kneel on — one for the groom and one for the bride. You can either use a hand-me-down from your parents or purchase a new set. 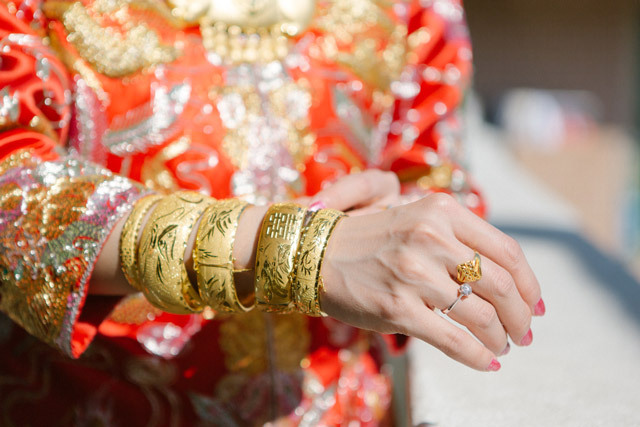 There are a variety of designs available at the Golden Plaza wedding mall in Prince Edward or trusty Taobao. 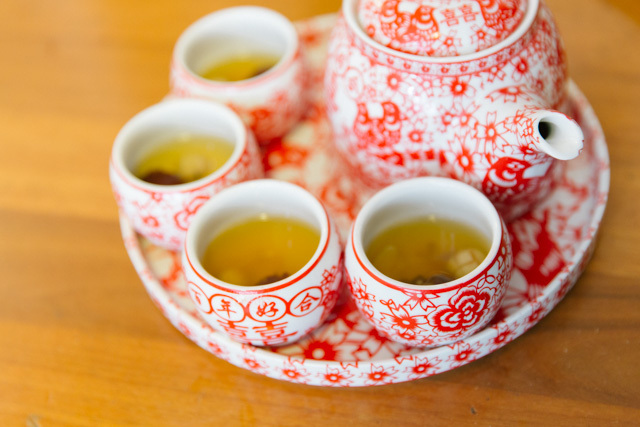 A Chinese wedding tea set is used for the ceremony and is meant to be a keepsake for the couple’s new life together. For bigger families, take note of the number of people participating in the ceremony as you need to make sure there are enough cups for everyone. 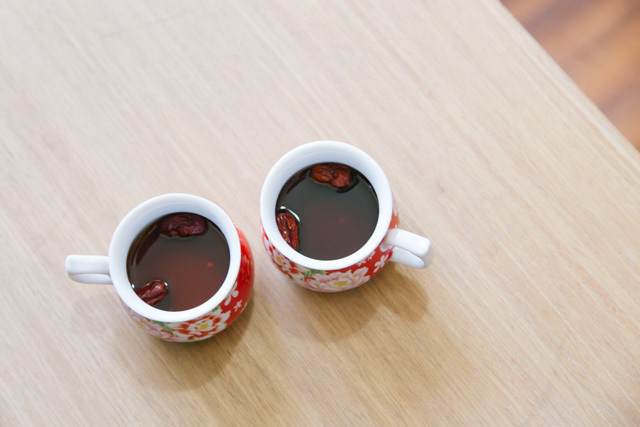 Any normal Chinese tea like tieguanyin or pu’er can be used. Just make sure not to use diet tea as skinny equates to bad fortune in Chinese. One unpeeled lotus seed (symbolizing quick and continuous childbearing) and one red date (symbolizing good luck) is placed in each tea cup. In the past, the ceremony began with three prayers by the bride and the groom — first to heaven and earth, then to the groom’s parents and elders, and then to each other. 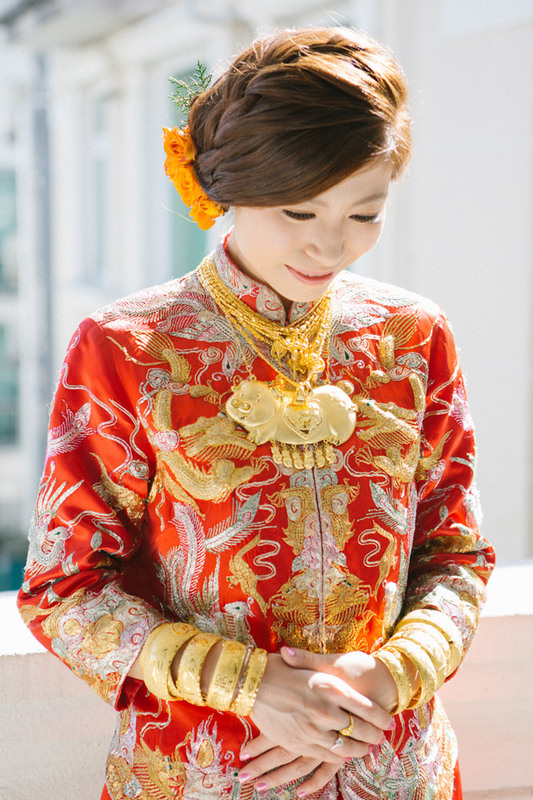 Now the modern Chinese wedding skips this and go to tea ceremony after the bride’s father hands his daughter to the groom at the bride’s home. The couple kneels with the groom on the left and the bride on the right. The father of the bride sits in front of the groom with the mother to his left, facing the bride, i.e. both men facing each other and both women facing each other. 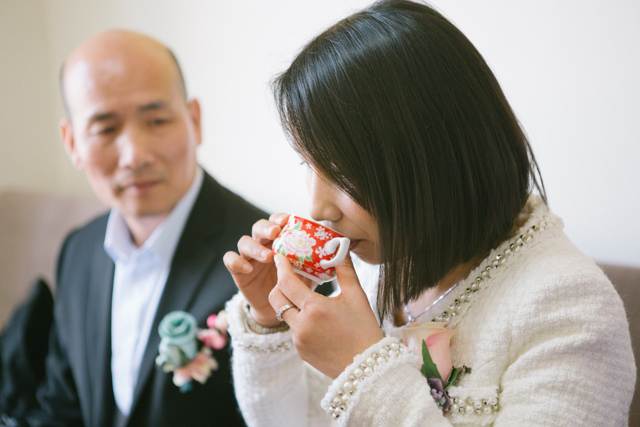 The groom is the first to serve tea — first to the father and then the mother. Then the bride takes her turn to serve tea, again to the father first and then the mother. 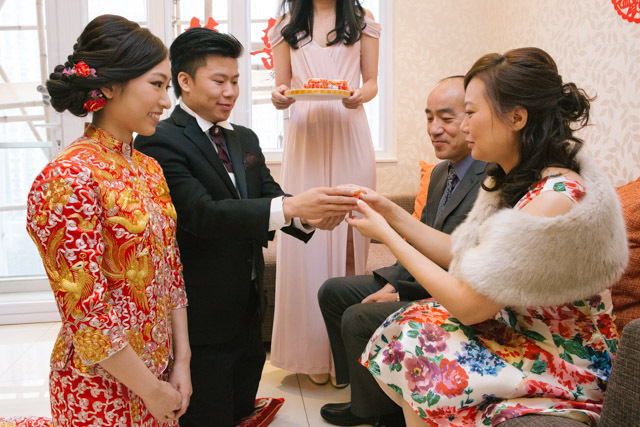 After drinking tea, the parents give words of blessing and/or gifts in the form of red packets or jewelry to the couple. Serving and receiving tea or gifts must be done with both hands. After the bride’s family is done, the newly weds will then proceed to the groom’s home for the tea ceremony with the groom’s family. Stay tuned for the next part of this series where we talk about the Chinese outfits, door games, and other traditions to take note of. 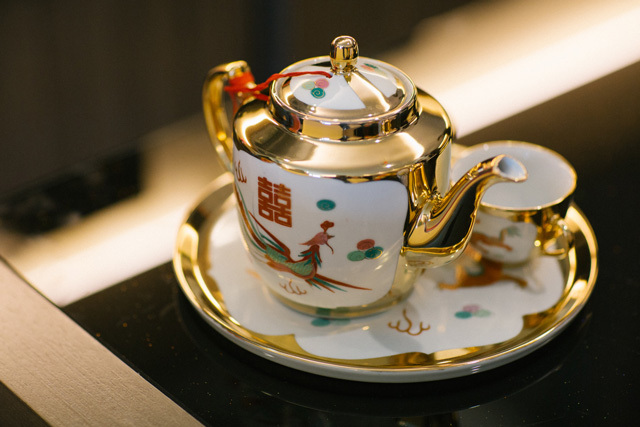 Where can I buy the items for Tea Ceremony in Hong Kong?